Diwata-1 is used in multiple ways such as agricultural mapping, disaster risk reduction and management, research, weather monitoring, land–use mapping and planning, the micro-satellite also became NASAs poster child for Small Spacecraft Technology. 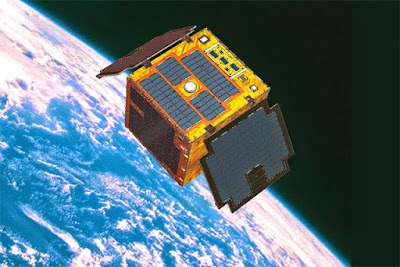 Now, Filipino engineers are designing and building Diwata-2, the country’s 2nd microsatellite. According to Department of Science and Technology (DOST) Secretary Fortunato dela Peña, the schedule for the launch is next year 2018. Diwata-2 will be biggar than Diwata-1 which was launched into orbit last year. It has yet to be determined if it will be on the 1st half or 2nd half of next year since it will be subject to “economic” conditions. But there will be innovations for Diwata-2 that is not present in Diwata-1 according to Filipino engineers involved in the program. These engineers are in Tohoku University and Hokkaido University in Japan who were sent on government scholarship grants. Their scholarships for MS degrees in Aerospace Engineering and Mechanical and Space Engineering is parallel to their involvement in the microsatellite building program which includes the design, fabrication and assembly of the Diwata series of microsatellites. Ariston Gonzalez and John Leur Labrador are at Tohoku University while Delburg Mitchao, Benjamin Jonah Magallon and Kaye Kristine Vergel are at Hokkaido University. The engineer scholars are scheduled to graduate March 2017.